Looking for a car that handles slippery Kansas City roads during inclement weather? 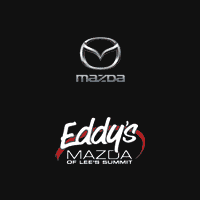 Consider a used AWD car for sale at Eddy's Mazda of Lee's Summit! Our used cars are inspected and in good condition. So, getting a used AWD car from our dealership will not only give you extra peace of mind when it snows or rains, but you’ll also get a like-new car for a used car price. Browse our inventory of affordable AWD cars for sale online, then visit Eddy's Mazda of Lee's Summit in Lee's Summit to test drive one of our models today! When searching for cheap AWD cars for sale in Lee's Summit, look no further than Eddy's Mazda of Lee's Summit.